We’ve become so attached to our phones that there are barely any moments we spend without looking at the screen just so we don’t miss a new notification. It’s like our phones have become an extension of us and we’ve developed a bad case of separation anxiety. We’re always doing something on our phone, whether it is sending a text, checking an email, tweeting or posting a picture on Instagram, and we’re doing it no matter the location. Even when we’re behind the wheel, going 60 miles per hour. Texting while driving is still not completely illegal in Arizona. While some cities have adopted laws that prohibit the use of a cell phone while driving a vehicle, other cities have barely gotten their feet wet. Here is what has been done so far. Is Texting While Driving Illegal in Arizona? While there have been several attempts to push a legislation regarding texting and driving, only a few have been enacted. One of the legislation that has been passed forbids new drivers under the age of 18; i.e., class G license holders, to drive while using a wireless device. The drivers who hold a learner’s permit will be fined if caught texting and driving even after 6 months following the issuing of their driver’s license. The law was not pushed further as the opposition was fearful that the proposed law might end up including drivers of all age across the state. 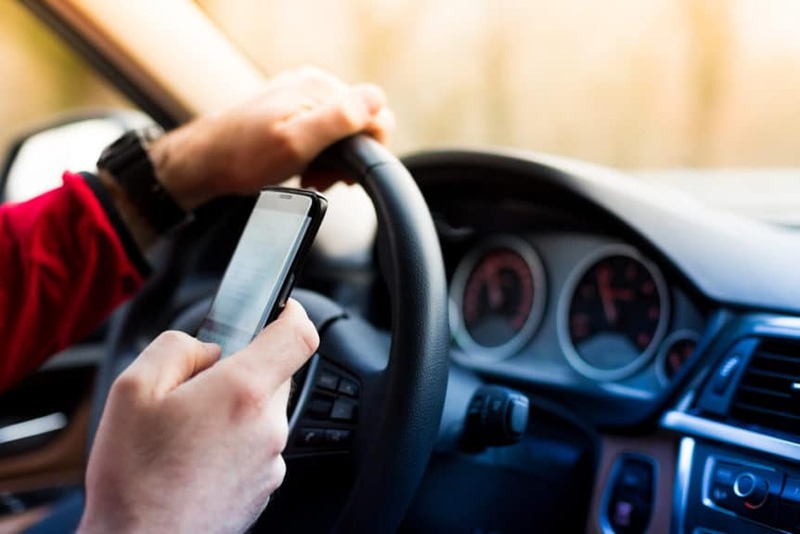 However, cell phone driving laws in the city of Phoenix differ in comparison to the rest of the state, and if you get caught in the metropolitan area texting and driving, you will be fined. In cases of repeated offenses, your driver’s license may be taken away. Besides Phoenix, cities like Tempe, Tucson, and Flagstaff also forbid actively using your phone while driving. That being said, the majority of other cities in Arizona do not have such laws and using your phone while driving is legal. In fact, the only exception is the bus drivers, who are banned from using any wireless devices. Why Should Arizona Cell Phone Driving Laws Be Stricter? While the laws state that it’s perfectly legal to text and make phone calls while you drive, it does not mean that you should. If you need a reason, we will give you 3,500 reasons, which is the number of people that died in 2017 due to being distracted while driving. A significant number of deaths was caused due to just being at the wrong place at the wrong time. Namely, not all drivers use wireless devices while they drive, but the ones that do, endanger not only them but also other drivers on the road. With another 10 million new drivers joining the daily commute in the state of Arizona this year, the number of people who have phone-related traffic accidents will continue to grow unless we strive to create a phone-free culture during our driving activities. The law is already being put into action for teen drivers. Another good reason why you should consider putting your phone down is the amount of money you will need to spend on premiums for getting a car insurance, and the amount of money you will spend paying for repairs of potential accidents that you end up in, due to distracted driving. So, while there are no laws that prohibit you from using your phone, you should still consider putting it down while driving or getting yourself a hands-free Bluetooth device so that you can keep your eyes and hands focused on the road while you make that important phone call. 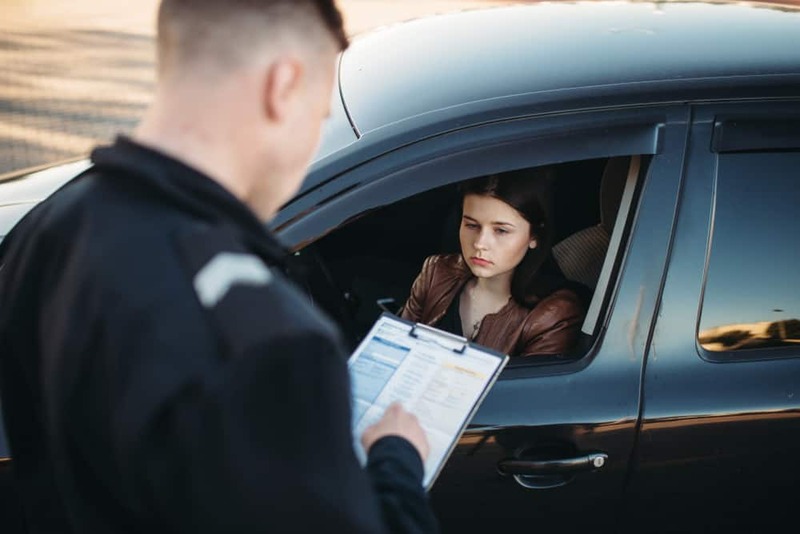 For more insight on driving laws in Arizona, make sure to check out our blog. We publish new articles on a regular basis, providing our customers, and our fellow citizens of Arizona, with useful information about safety on the road.